Grave Sec. 18. E. 12. Additional Information: Son of Frank and Alice Ann Giltinan, of Cwmdu, Swansea. Trevor was the youngest son of Frank Giltinan, a retired police officer, and Alice Ann Giltinan of "Ennis", Cave Street, Cwmdu. Trevor served initially with the South Wales Borderers (SWB), before transferring to the Royal Engineers where he was attached to 508 Field Park Company, part of 8 Corp troop RE. 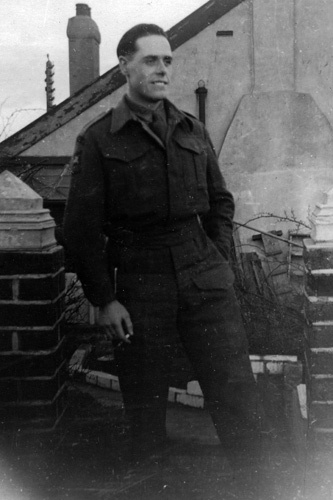 Trevor was killed in Action on Sunday 29 April 1945 at Lauenberg on the River Elbe aged 23. He is buried in Becklingen War Cemetery in Germany. Written by TERENCE GILTINAN. 29/04/2013.